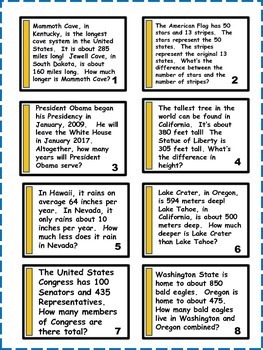 Each card includes a fun fact about the United States. There are several ways to use these task cards. 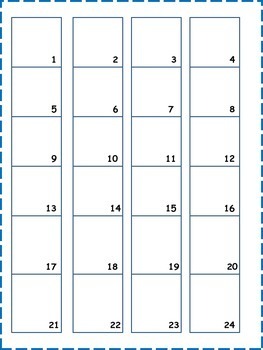 Depending on your class, you can use these cards as a whole class “scoot” activity, at a math center, or a Guided Math lesson. 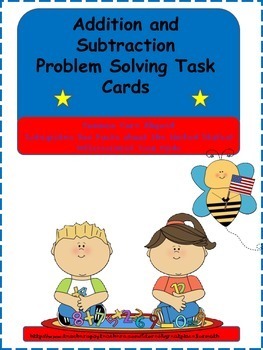 The task cards in this activity are color coded for easy differentiation. The blue cards are for the average 4th grader. The yellow cards are for students who need to be supported. The green cards are for excelling students. Each set, however, will prove to be rigorous and engaging for all students. Please feel free to provide feedback!